The over.gg Oceanic Rankings have returned yet again following the commencement of the OCE Bi-Monthly Brawl. The pool of events for Oceanic teams to compete in has somewhat dried up since the last rankings in early July, although this has not stopped the best Oceanic teams from competing in Seasons 1 and 2 of the Australia and New Zealand Open Division, the early stages of the OCE Bi-Monthly Brawl and a number of minor CyberGamer Weekly cups. BobbyJ, face, Genome, Grafix, Project and Smashbrutha have returned to rank these competitors, taking into account results in Oceanic competitions from the 13th of July to the 14th of October. The panel's votes have been averaged out to provide the following rankings. After climbing from third to second in the last set of rankings, 4Legs have finally found themselves in the top spot after claiming the inaugural season of the Australia and New Zealand Open Division. 4Legs capped off their undefeated streak in Season 1 of the Open Division with a 4-1 victory over Athletico in the grand final. The team has continued their undefeated run in the Open Division in Season 2, comfortably placed at the top of the standings with a 6-0 record. Their success hasn’t just been restricted to the Open Division however, as they also currently hold an undefeated record in the regular season of the OCE Bi-Monthly Brawl. Victories over talented teams Masterminds, Masterminds Blue, Athletico and Dark Sided have proven that 4Legs deserve to be labelled as the best team currently competing in the Oceanic scene. 4Leg's mix of talent and consistency has brought them to the top of Oceanic Overwatch after months of falling just short. Whilst the gap between 4Legs and their competition isn’t comparable to the dominance Fusion Girls (now Blank Esports) exerted over the scene before their departure, there is no doubt that they currently deserve to be considered the hegemon of Oceania. Dark Sided can always use more heroes. Please welcome our @PlayOverwatch division! Dark Sided were known as Athletico Gold in the last edition of the over.gg Oceanic Rankings. Since then, the roster has cut its ties with Athletico, playing for some time under the name Space Retrievers before finally announcing their acquisition by the Oceanic esports organization Dark Sided. The team had to withdraw from the first season of the Open Division due to the roster lock rules, resulting in a misleading 13th place finish. Season 2 has been a different story for the Dark Sided roster, losing only a single match so far. Victories over SIN, Masterminds Blue and Athletico in best-of-seven matches have helped Dark Sided garner a reputation as one of the top teams in the region. Despite stumbling against Scylla in a 2-0 sweep, the team's results in the Bi-Monthly Brawl have also been encouraging. Plenty of work still remains for the Dark Sided squad however, as the gap between them and Athletico in the panel's votes was relatively close. Ultimately, Dark Sided will have to perform in the playoffs of the Open Division and the Bi-Monthly Brawl if they wish to keep their second place spot in these rankings. Athletico have continued to find success in Oceanic Overwatch after the split that broke up the ESL ANZ LAN champion roster. Retaining four core players from that squad, Athletico went on to finish as runners up in the inaugural season of the Australia and New Zealand Open Division. The team currently sits highly in the standings of both the Bi-Monthly Brawl and the Open Division. Their playoffs spot in the Bi-Monthly Brawl is not set in stone however, as 4Legs, Dark Sided, Scylla and the Mastermind’s squads all look to secure one of the four spots in the playoffs. Athletico’s 4-2 loss in the Open Division to Dark Sided was ultimately the deciding factor in them being ranked third instead of second. 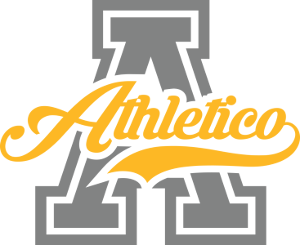 However, strong results in the playoffs of the Open Division and the Bi-Monthly Brawl could see Athletico leapfrog Dark Sided. Today we are pleased to announce changes to Scylla Overwatch. It’s been two months since Scylla announced their revamped roster. Failing to qualify for the ESL and CyberGamer LAN events, Scylla entered a lengthy rebuilding process after the conclusion of the CyberGamer OCE Circuit. In an interview with over.gg DPS player and captain Project emphasized that the team was going to take things slow, with a particular focus on long term goals. This mindset has appeared to have payed off, as Scylla have reentered the scene revitalised. Victories over Dark Sided and Masterminds Blue are valuable results for increasing the team’s playoffs hopes in the Bi-Monthly Brawl, but with more than half of the regular season still remaining Scylla will have to continue this success to edge out their rivals. With commendable records in the both the Bi-Monthly Brawl and the Open Division, the squid squad has surprised many with their level of play. The team can still go higher however, with room left until they reach their true skill ceiling. Masterminds Blue are sitting in strange new territory, ranked above their sister team for the first time. Since being acquired by the organisation. Masterminds Blue have been fairly consistent in their level of play, confidently handling the lower tier teams in the Oceanic scene and remaining competitive with the top dogs. The team’s playoffs run in the first season of the Open Division was cut short by the eventual victors, 4Legs, in the semifinals. Losses to Athletico and Dark Sided in the Open Division, alongside a loss to Scylla in the Bi-Monthly Brawl, cost Masterminds Blue in these rankings. Don’t count out this squad yet however, as the level of competition between the second and fifth ranked teams remains as close as ever. The expansion continues. We're excited to announce our new @PlayOverwatch roster. SIN Gaming make their first appearance in the Oceanic rankings at rank six after being signed in early September by the Oceanic organisation. Formed around the core of three ex-Rich Gang players, SIN recieved an invite to the Bi-Monthly Brawl despite having no results as a team. Since then, they have somewhat struggled in the early stages of their time in Overwatch. As a bottom two team in Division One of the Bi-Monthly Brawl, SIN face the risk of dropping to the promotion and relegation bracket if they cannot climb the standings. A loss to DarkDescent in the Open Division was a particularly disappointing result for the new team. Be that as it may, SIN still have plenty of future potential that they can meet. The team has shown flashes of this on occasion, taking down Masterminds GC in the Bi-Monthly Brawl whilst for the most part cleaning up lower tier teams in the Open Division. Nevertheless, SIN will fail to climb higher in these rankings until they manage to earn a victory over one of the top five teams. 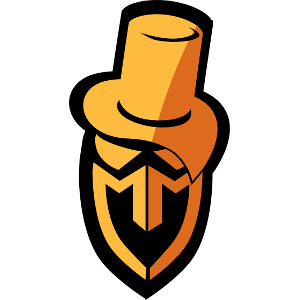 Masterminds original Overwatch team has taken a significant step back since the departure of HooWoo and Hus to Blank Esports before the commencement of the second season of the Pacific Championship. The move broke up the Mastermind’s roster that won the CyberGamer OCE Circuit LAN, with Jordan and meemum replacing the departing players. Mastermind pulled out of the Open Division in Season 1 and did not field a roster for Season 2 as a result of these roster moves. Thus, the team’s only results in the considered time period are their four matches in the Bi-Monthly Brawl. A one sided loss against 4Legs, who Masterminds defeated in the grand final of the CyberGamer LAN earlier this year, and the low ranked SIN Gaming have resulted in the team plummeting down the rankings. This is not entirely unexpected, HooWoo and Hus were picked up by Blank as they were two of the most talented players competing in the Oceanic scene. Naturally, any team would struggle to fill the void left behind by the departure of two star players. It’s not time to count out MGC yet though, as the team’s replacement players are by no means untalented. Masterminds will have the opportunity to climb back up the Oceanic rankings in the following months as they rebuild their team chemistry. The Project announced that they were disbanding soon after the period of time these rankings take into account. Whilst unfortunate, the decision is perhaps not too surprising. The team has failed to make any significant progress since the last Oceanic rankings despite having a relatively promising roster. A 3rd-4th place finish in the first season of the Open Division and qualification for Division 1 of the Bi-Monthly Brawl have prevented The Project from falling any further down these rankings in light of their poor performance. A winless record in the Bi-Monthly Brawl alongside a loss to 4Heads in the second season of the Open Division are indicative of the team’s failure to match their potential in the past few months. Unfortunately, The Project will depart from the Oceanic scene on a sour note. Neferhor has announced his retirement from Overwatch, alongside ZeRoR stating that he is choosing to take a break from the competitive scene. The Project’s late withdrawal from the Bi-Monthly Brawl has also lead to all players on the team receiving a one season suspension from the competition. Dark Descent’s victories against The Project and SIN Gaming in the Open Division went a long way to securing the team a spot in the the rankings. However, their work in the second division of the Bi-Monthly Brawl has also been commendable, although the competition is only two rounds in. Players on the roster have had previous experience on Oceanic teams such as Tempo Storm AU, Scylla Esports, Ebin and WillWEED. The team’s failure to participate in the Bi-Monthly Brawl Division 1 Qualifier has somewhat limited their ability to climb the rankings but a strong run in the upcoming Open Division playoffs could help to nullify this. 4Heads round out this set of rankings, just finishing just above mööt despite falling to the team 2-1 in Division 2 of the Bi-Monthly Brawl. 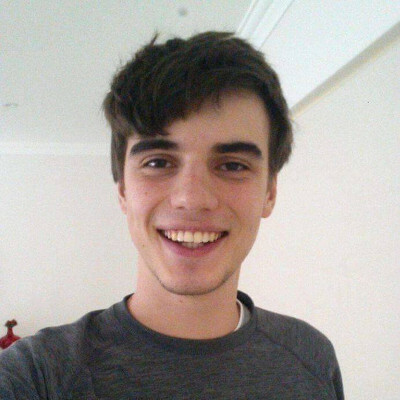 4Heads’ participation in Season 2 of the Open Division was a contributing factor to them being rated over mööt, who withdrew from the competition after round one. 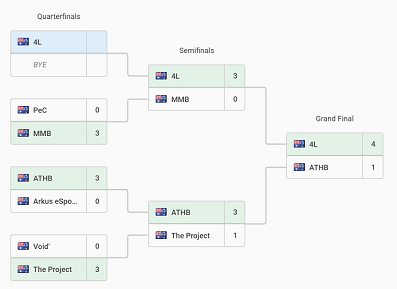 4Heads’ are set to claim the final playoffs spot in the Open Division, as they are scheduled to receive a forfeit win against The Project in the final round, although a Team Aspire victory against Mutiny would force a tiebreaker for the final playoffs spot. Nice reading thank you Mert for this ranking. I really love read them! I'm glad OCE teams have orgs. I would figure there would be more unsponsored teams in the region. Wait where did BLK go ? I don't really follow the OCE scene too much but I'm curious. Also don't know if the edit is still in progress, but Dark Descent's and 4Head's links direct to Mastermind GC's page. The rankings only take into account teams competing in the Oceanic scene, since Blank have been playing in Taiwan they are not eligible for the rankings. Fixed the last two teams btw thanks for mentioning it. Oh, well I guess it shows I'm not following it, always good to see teams sponsored and such, keeps the dream alive. Rankings released to early!!! Take them back Mert!! !